NEW Authentic Murano Glass Gold Decal Fused into the glass! 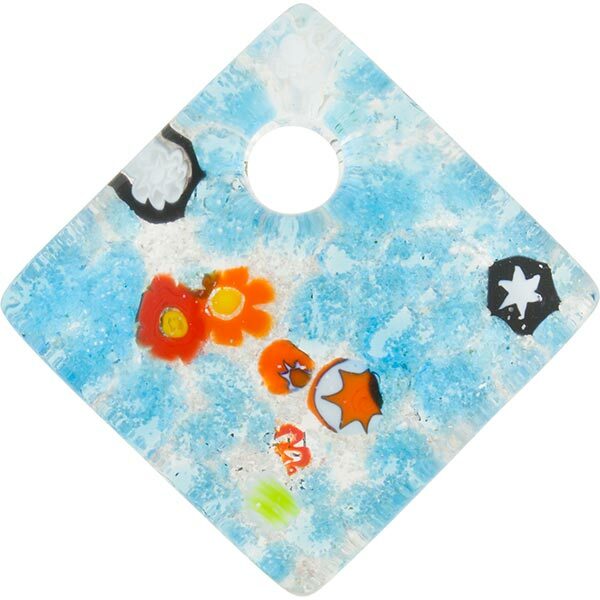 The base is a blue layered with Sterling Silver and sprinkles of bits of millefiori and splashes of shades of Aqua all encased in a top layer of transparent clear Glass. The size is approximately 30mm by 30mm (a little over one inch). The exact placement millefiori pieces is random and no two ever exactly alike. Authentic Murano Glass.